Warehouses with a huge stockpile of valuable material can be an enticing prospect for criminals. Often situated in quiet areas, away from the densely populated areas of a city centre, warehouses without adequate security are prime targets for burglars looking to steal a large volume of valuable goods. However, with our professional CCTV installations, you can fortify your warehouse against intruders, monitoring activity on the premises 24/7. If there is one thing a burglar does not want to see, it is a CCTV camera training on them. They know it will catch them red-handed on footage which will subsequently fall into the hands of the police. So if you want to provide the best-possible security for your warehouse then a professional CCTV installation in an unquestionable necessity. Clear CCTV footage that can be used by the police in their investigations and as prosecution evidence in court. Unwavering 24 hour surveillance. 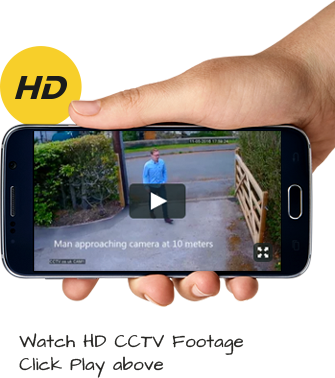 CCTV can offer a more effective alternative to 24 hour security guard patrols at a lower cost. An exceptionally strong deterrent. Highly-visible cameras can stop criminals in their tracks, keeping them from attempting to enter your warehouses. For a specific quote for your needs, please call our team on 0800 211 8310.